I’ve been thinking of a move to Nova Scotia. No no, not for the weather but rather so i can be known as The Bore of Fundy. I’m five years behind the times but so is The Guardian, which just the other day had an interesting article about the Dead Drop craze, which was begun by a Berliner named Aram Bartholl. 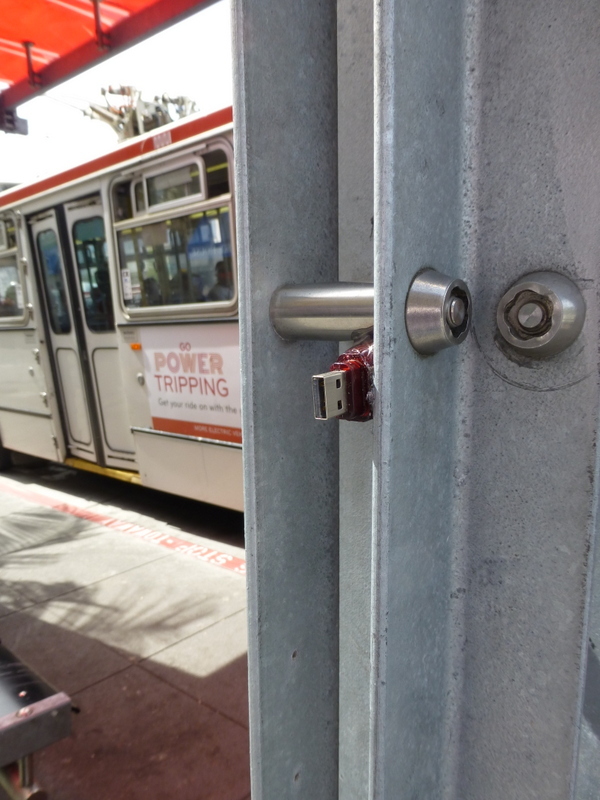 Which of course made me want to do my own dead drop, so i set out looking for a suitable site, one with a lot of foot traffic so folks might just spot the USB connector sticking out rather than having to go to the Dead Drop website database map and hunt down San Francisco drops. 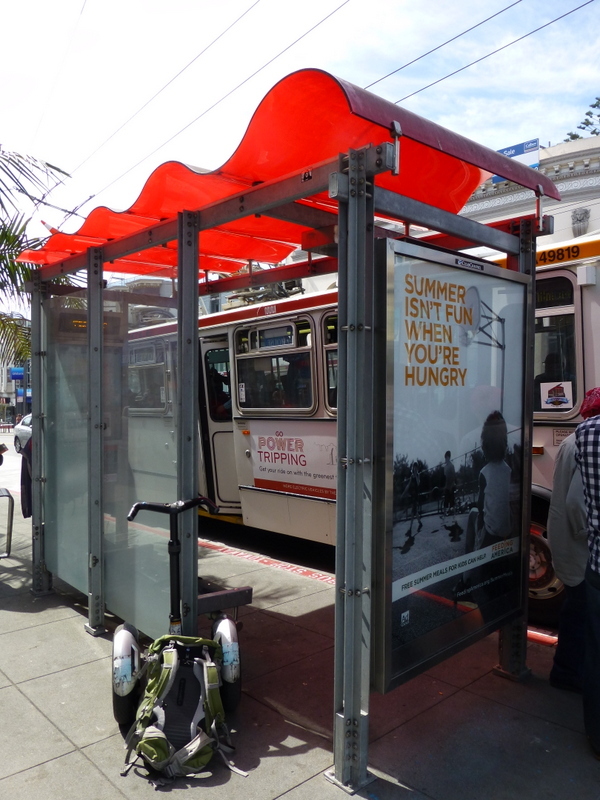 Finding the site was a bit of a problem, as San Francisco is not well supplied with public brick walls with a small hole in them into which a jump drive might be cemented, so i ended up just gluing my jump drive to a post on the bus stop at Castro and 17th. And finally, a shot with some background to fully identify the location. And no, even though i was right there in front of Hot Cookie for some time, repeatedly pressing on the jump drive while waiting for the glue to dry, i exercised more will power than i knew i had by refraining from going in and buying one of their cookies. Update: Twenty-four hours after i installed that jump drive, it’s still there! Not only that, but it’s now listed on the Dead Drop database map.